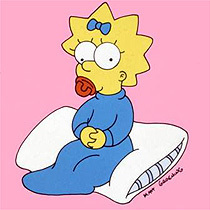 Maggie Simpson. . Wallpaper and background images in the Maggie Simpson club. what a cute calm and sensible girl I mean baby. I my gosh she is nearly as calm as me.